Spent a little time between holidays walking through images stored on various drives. 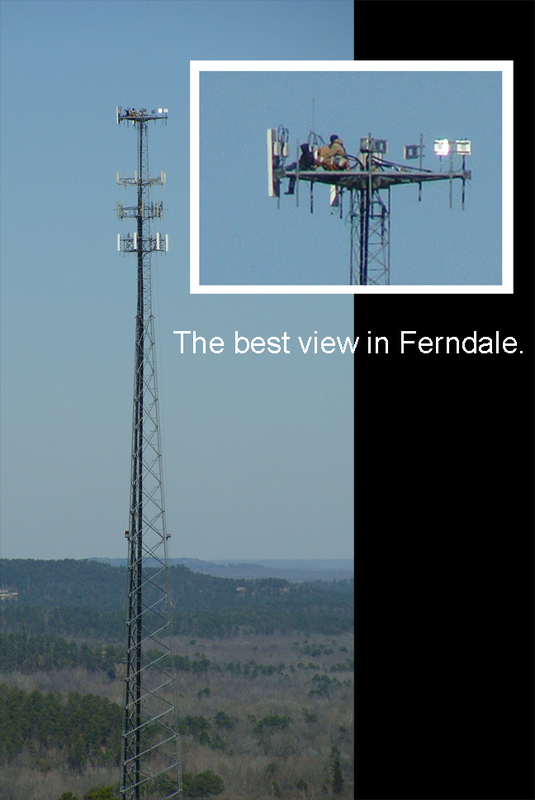 The composite below was one taken in February 2009 as two bundled up workmen enjoyed their lunch on high. I guess someone has to change the lightbulbs. Normally, this perch is for the exclusive use of the local turkey vulture population. Some days the platforms are filled with the birds in black. We took a couple of hours to do some light-spotting last night. 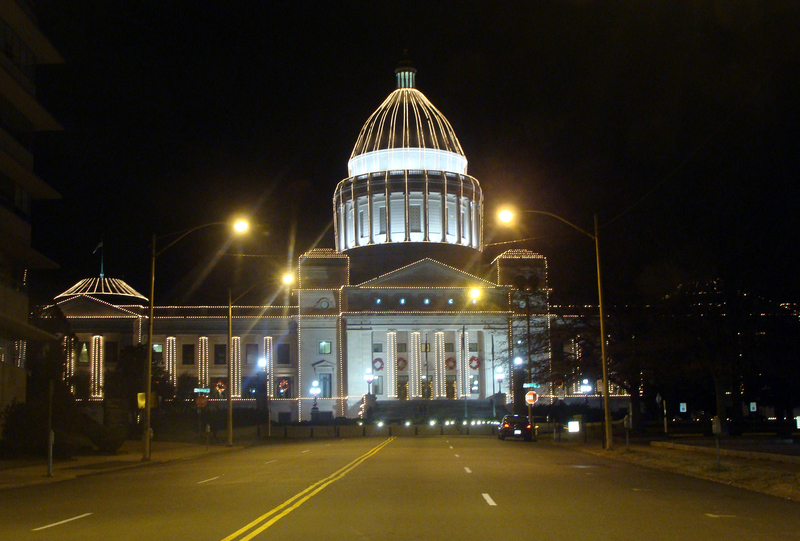 JUST CAPITAL -- State capitol building glows on Christmas Eve. While many other businesses were closed for the night, the capitol was bustling with tourists circling to ogle the lights. People dressed in red and topped with Santa hats came in and out of the rotunda, where a giant Christmas tree stood. 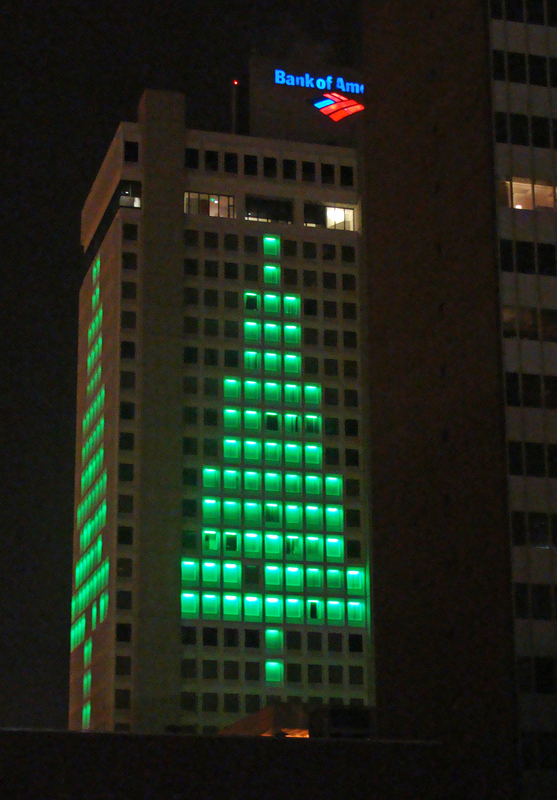 BIG TREE -- The Bank of America building gets into the spirit of things with its giant green tree. The building also wears a pink ribbon in support of the Race for the Cure and red, white and blue for Independence Day. 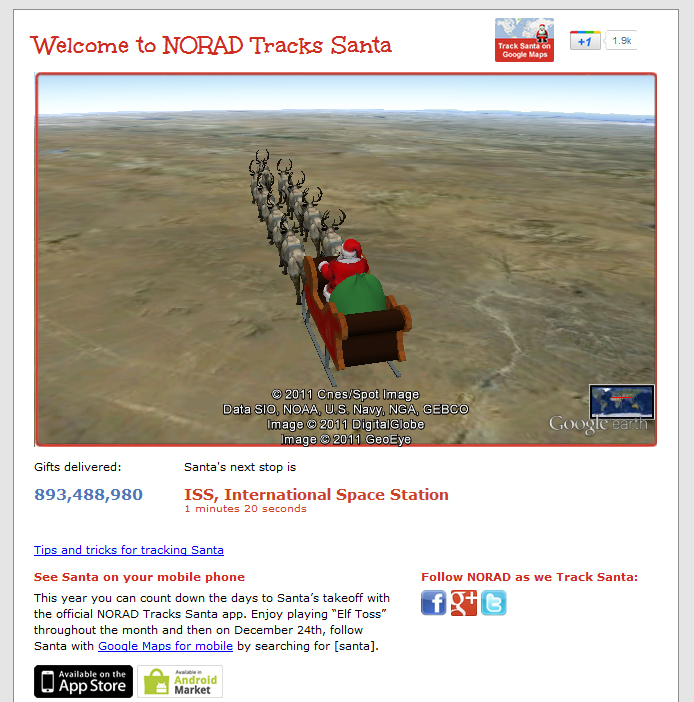 These screenshots, courtesy NORAD, come from http://www.noradsanta.org/en/. Good place to check if you’re worried about getting the cookies, milk and carrots out in time. 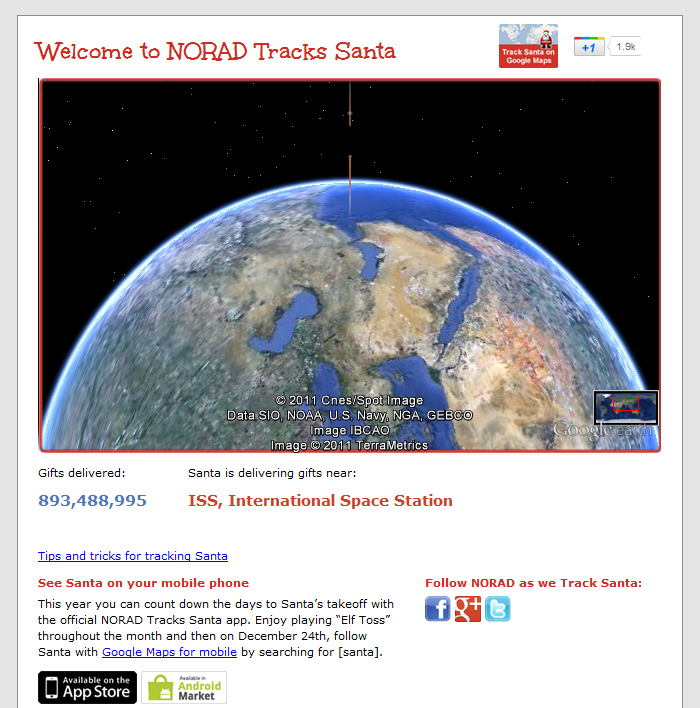 ON FINAL -- NORAD's tracker shows Santa on final to the International Space Station. DELIVERY -- Santa completes orbital rendezvous with ISS. 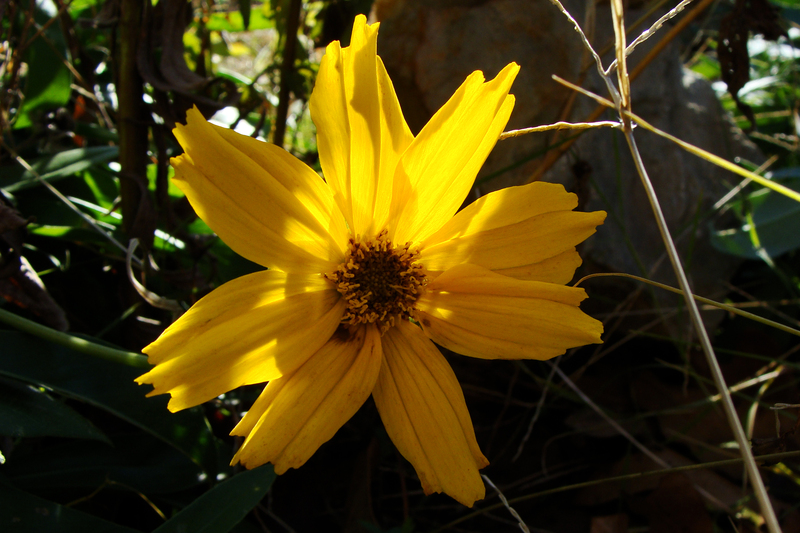 Winter may have arrived and Christmas just a day away, but the wildflowers in the garden keep producing summer blooms. Meanwhile, a colleague’s Christmas cactus brightens the office — right on time. STILL BLOOMING -- Summer wildflowers continue to shine even in the days before Christmas. 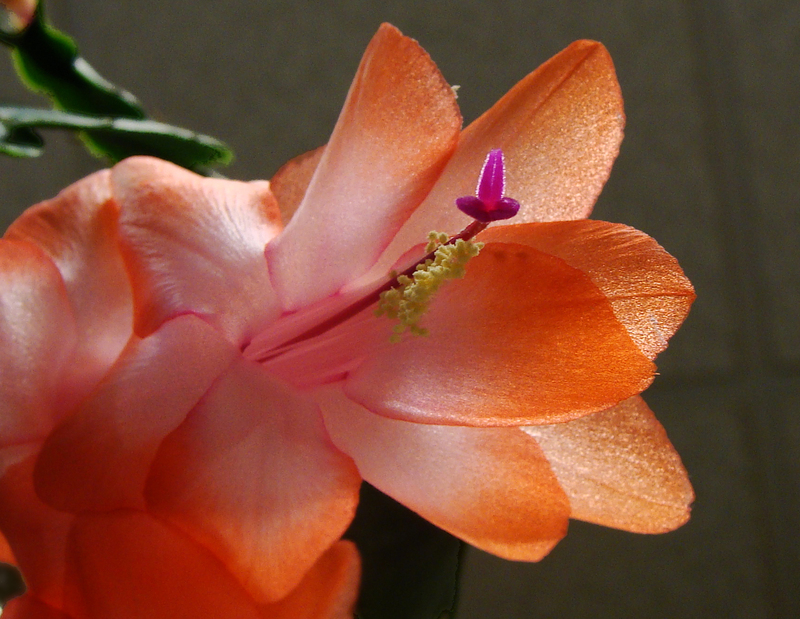 CHRISTMAS CACTUS - Christmas cactus in its prime just days before Christmas. We are mourning one of our aunts who passed last week. Dr. Jit-Kasem Sibunruang was part of a generation of great women from a large and very complex family that spans three continents. She was among the first Thai women to earn a doctorate from the University of Paris. 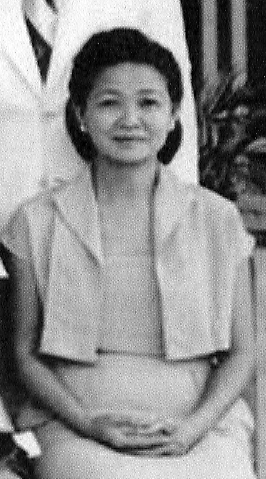 Auntie K (also known in the family as Dr. Kasem) was a lecturer in Thai literature at the Sorbonne from 1951-1954. She left Paris for a few years, returning to serve as Officer-in-Charge at headquarters, Southeast Asian projects at UNESCO. Auntie K was a professor at Chulalongkorn, one of Thailand’s leading universities, and an author best known for her work on Thai folk tales. Auntie K tutored the children of the Thai royal family in the French language. In 1968, she was decorated by the French government in 1968 as an Officier de l’Ordre des Palmes Academique. Her many works include:Wessandorn, the Charitable Prince, Contes et légendes de Thaïlande, Children’s literature in Thailand, Culture of Thailand Today, The role of tradition or religion in literature for ASEAN understanding, Coutumes de la vie siamoise d’après le poème populaire Khun Chang, Khun Phèn and others. She was also a woman who knew where to get a good steak. We will miss her! Our condolences to her family. 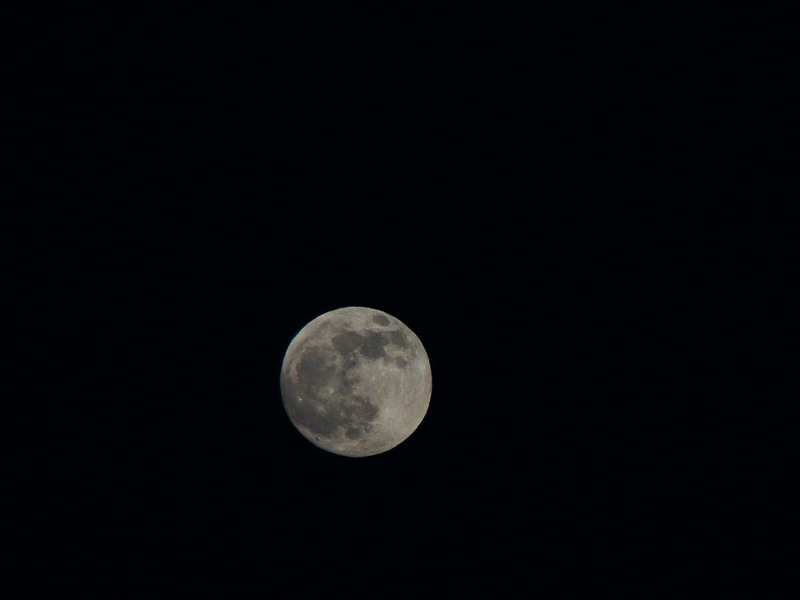 December’s full moon, also known as the Cold Moon or the Oak Moon, put on quite a show for those willing to get up early on a Saturday. 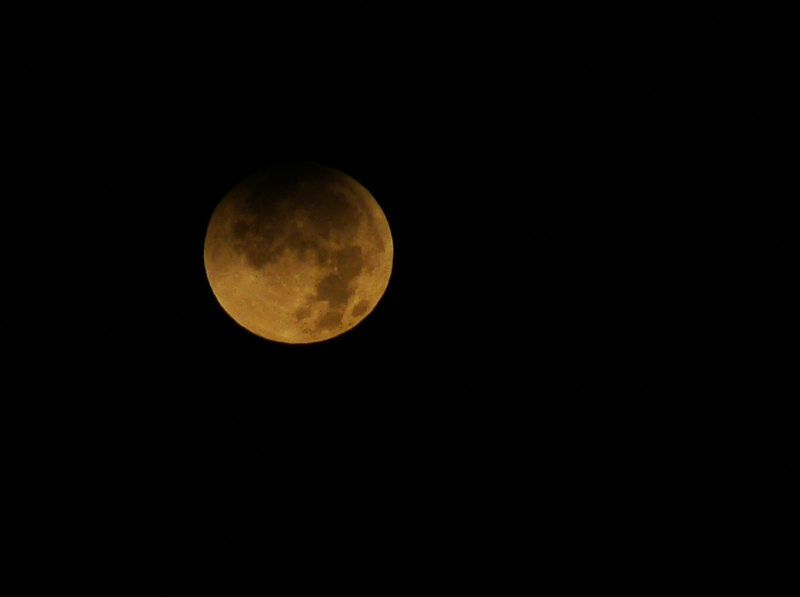 Although the best views were in states north and west of us, we were grateful for the show we were able to see this far south in Arkansas. 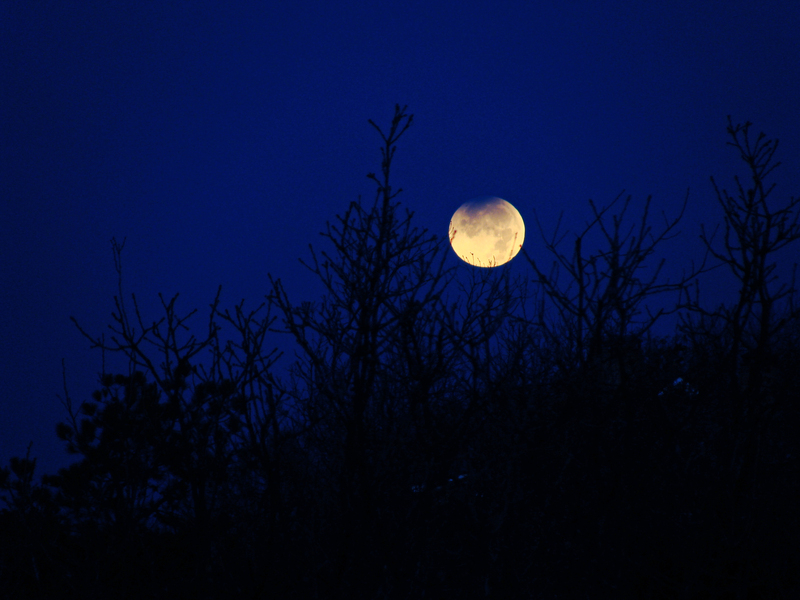 PARTIAL ECLIPSE -- A grand view of a partial lunar eclipse was the reward for rising before the frost disappeared. DESCENDING -- The full moon descends towards the woods of the Ouachitas. ON THE RISE -- The Oak Moon the evening before, rising over the grocery store parking lot. 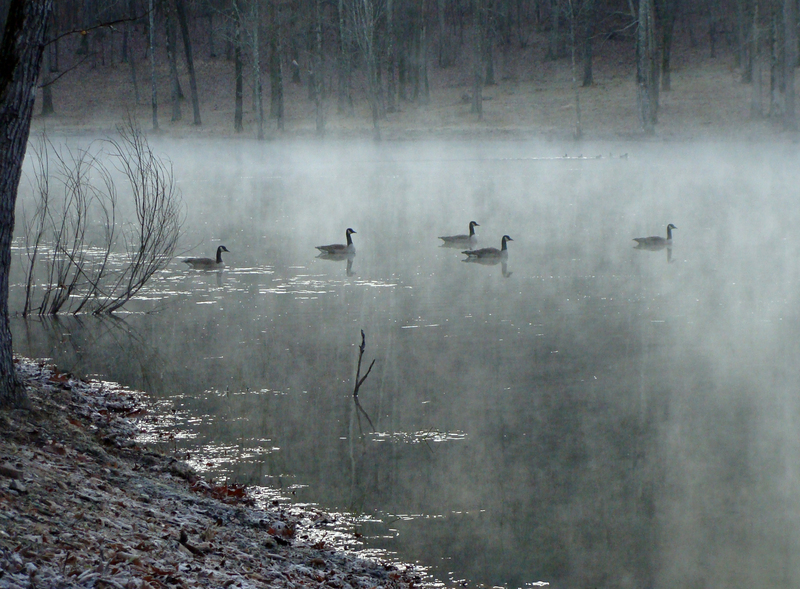 Arkansas’ winter has been predictably unpredictable. In the 60s one day, snowing the next. Today was one of those warmish days, and if you looked in the right places, you might mistake it for spring. 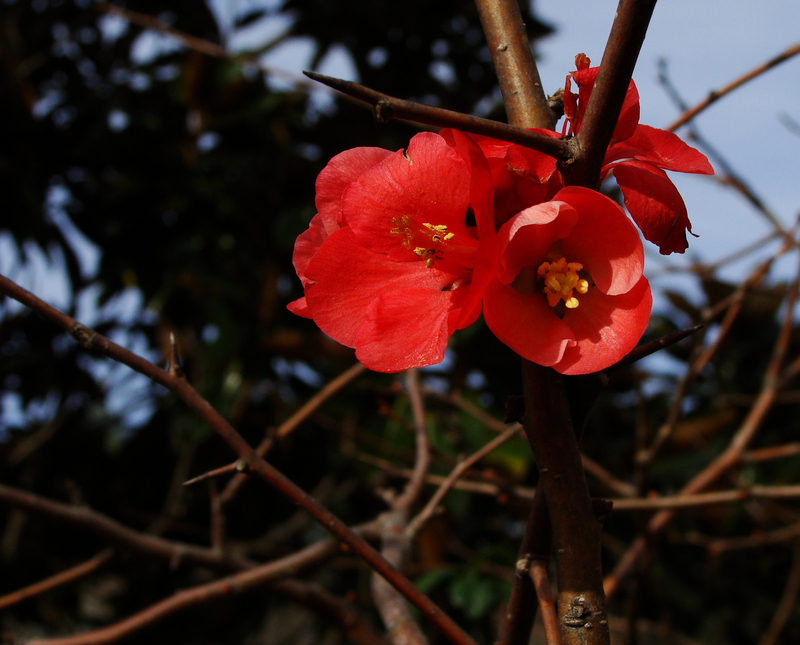 IN BLOOM -- The flowering quince on the south side of the office doesn't seem to realize that it's still only early December. 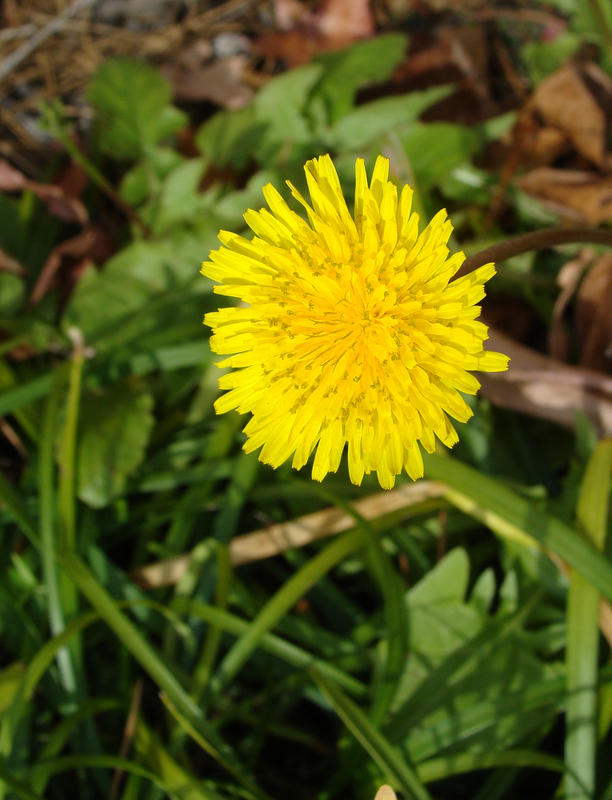 JUST DANDY -- Sunny dandelion takes its chances in early December. Where we live, we’re just beyond the urban heat sink. Heading west out of town, it was nice to experience the gradual change from rain to snow. By the time the truck ascended to the 700 foot ring, the precipitation was 100 percent snow. 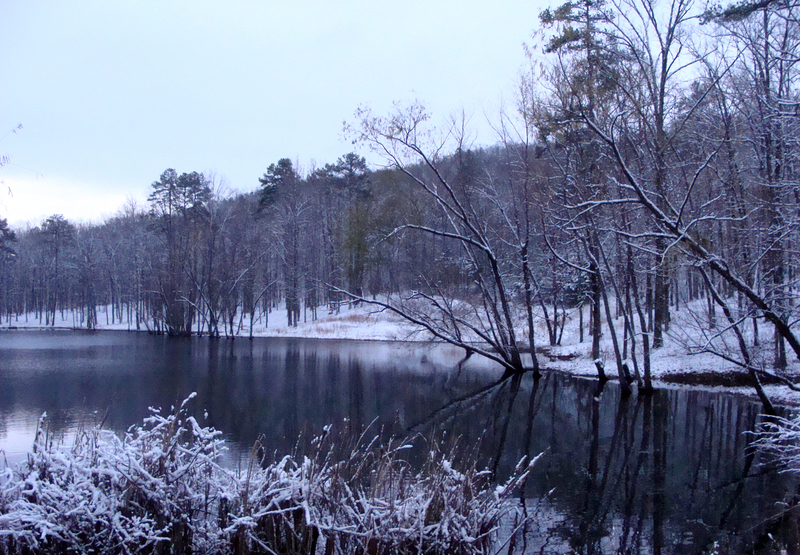 For a day where there was only a 20 percent chance of rain or snow, the Ouachitas provided a pleasant surprise. 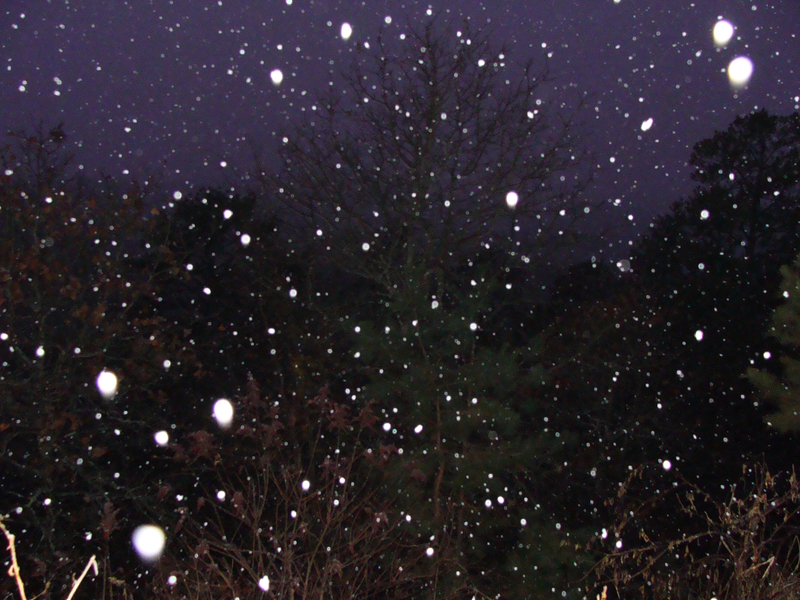 SURPRISE SNOW -- We were on the receiving end of the 20 percent chance of precip. The following morning our neck of the woods looked like a Christmas card, with perfectly fluffy snow clinging to branches and earth. Most of it was gone by afternoon, but snow in shadowed pockets on north slopes remained another day. SNOWFALL -- The lake was a lovely site/sight in the morning on the way to work. 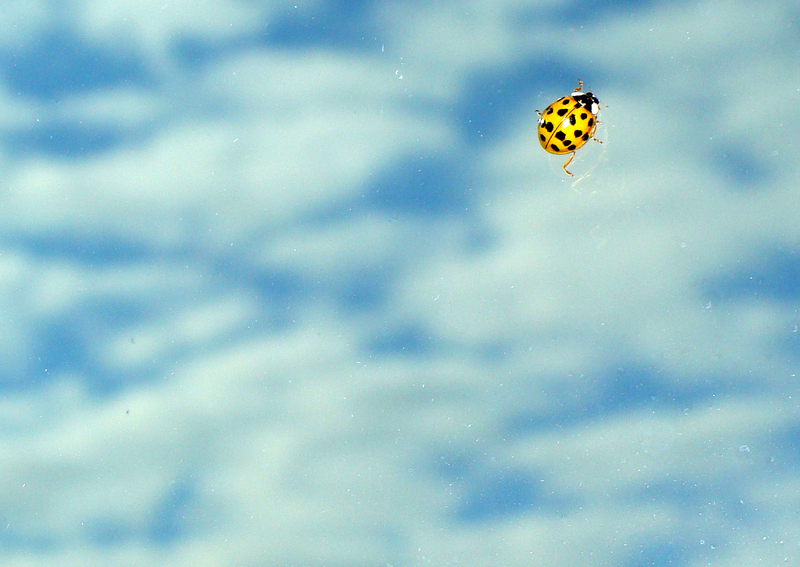 Saturday morning’s bright blue sky frames one of our indoor ladybugs. BLUE SKY -- Ladybug climbing up the living room window on a blue sky fall morning.